With a vision to chronicle the stories and experiences of the world’s most extraordinary women, our client was certain that video had to play a part. Unfortunately, using a public site (e.g. YouTube) meant giving up branding control, giving up the ability to monetize the videos, and giving away flexibility. 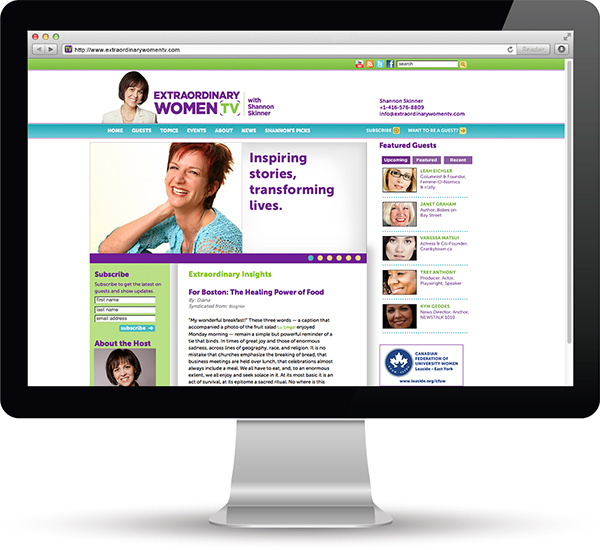 At the same time, developing the Extraordinary Women franchise meant developing – from scratch – the public profile of the host. Using our SilverSpoke platform, we created a destination site that provided deeper access to the long tail of episodes, the creation of a new “aggregate” blog based on guest blogs, the development of community, and the ability to monetize the site by managing ads and sponsorships. In addition, we provided business strategy, CRM integration, training, and SEO. The site hosts hundreds of interviews, and has helped our client create a distinct and enduring brand in the marketplace. The site has opened many new doors of opportunity, and now serves as the hub for our client’s business. 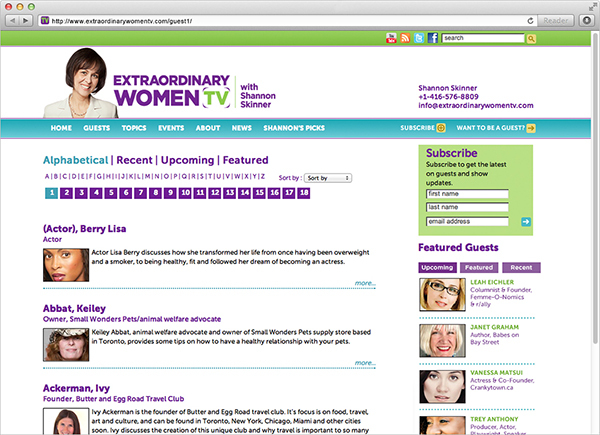 Extraordinary Women TV can be seen on cable and on the web. The client manages 100% of the site herself.